Mercury Machining Company was founded in 1965. Since then the company has maintained a pristine level of quality production and services, specializing in CNC milling and CNC turning. Working not only on local, but also national, and international levels, Mercury Machining has developed a diverse range of customers that have come to know the company as more than just a vendor and considers Mercury Machining to be an extension of their own manufacturing capabilities. Owned by Dale Macarthy and operating from Pensacola, FL, Mercury Machining is one of the leading CNC production companies on the Gulf Coast. We have over 35 employees that have been with the company for an average length of 10 years and over 25 years for our managers and supervisors. Our company has a level of loyalty from both employees and customers that is unmatched by any other machining company on the Gulf Coast. Mercury Machining's business philosophy is straightforward. We are committed to achieving customer satisfaction by delivering the highest quality products, to specification, and on time. Our commitment does not end when your order is shipped. Ensuring the quality of our customer service is no less important to us than ensuring the quality of our products. We will always answer your calls, address your concerns, and welcome your input. 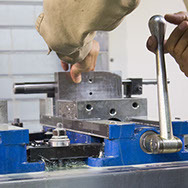 We consider our reputation to be our single most important asset, and we work hard to maintain our reputation as a quality company and a reliable manufacturing partner for your company. Here at Mercury Machining, we offer a wide variety of services. Our main focus is production manufacturing, but we also do work with fabrication, prototyping, repairs, and rebuilds. We are also capable of heat treating for tooling and small parts, and do both cylindrical grinding and surface grinding. Mercury Machining also caters to a variety of industries including but not limited to: textile, oil and gas, medical, surveillance, and print production. 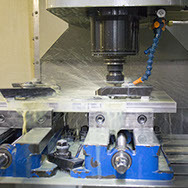 Our goal is to meet your machining needs with the best quality parts for your industry.